With 2016 knocking on the door, I've been considering the nature of Destiny. I've realized coming to LA and being so invested in the communities out here which has pushed me and forced me to grow beyond what I ever expected. Now stepping back and taking much of this past year to work on my own passion projects in between auditioning for studio projects, (which is not a passtime I intend to slow, as I've had to reassure my colleagues), however forging my own vision which is becoming stronger and stronger with the passing days. A vision is the only thing we should be beholden to, how we realize it is subject to the winds of change. The path of an artist is guided by one's own imagination and the shaping or reshaping of the past according to the journey we wish to have. And the adventure that we desire. In 2015 I battled many demons that lurched within, I fought interpretations of memories. I sort out to mend the internal images of my past, I spoke to ghosts, I spoke to the child I once was and saw through his eyes. Through them I found keys to my destination. Those keys were gaurded by demons of manuscripts that were not my own, but at the same time I had not yet developed answers for. Through the passages of a number of great men and women connected to this providence, speaking through their language the chaos of the universe seemed to make sense, but after many nights of dreaming I discovered their real gift was a language to speak for myself. I could not have arrived at this omen without a cacophony of voices, a hurricane of noise, much like the modern world provides, to see a light that cut through it all. Words have less authority than consciousness which bares the vicissitudes of time, words only bare the constancy of order. 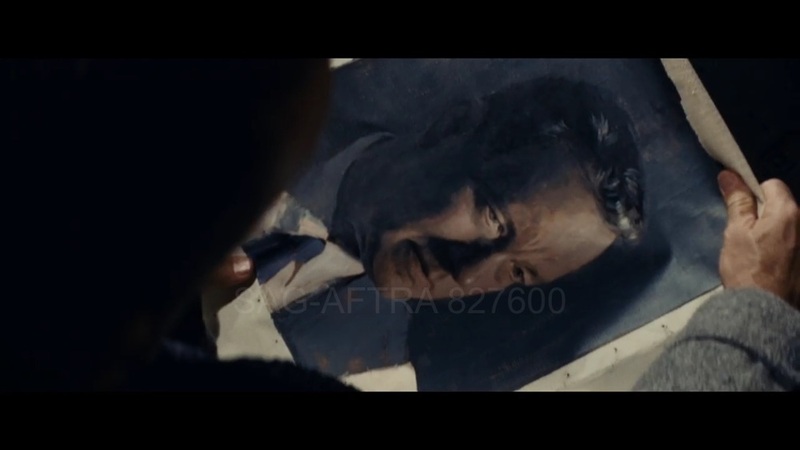 Like this moment in a "Bridge Of Spies" when Tom Hanks' character unravels his portrait, it was the destination of his consciousness. The expression of consciousness can end up in very unlikely places, the universe captures and reforms our private thoughts more than we know. This moment in time I experienced of myself through another contemplating a longing for the world outside. Originally captured during the making of the film "Mother & Brother", now reproduced on screens big and small, today experienced and expressed through the artist Heidi Yardley. It was the destination of my consciousness. In 2016 I hold up an inner guiding light to shine in the murky water of the LA River.